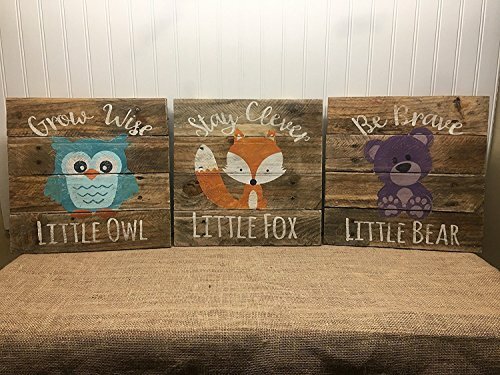 Woodland Animal Baby Nursery Set of 3 Reclaimed wood Pallet Sign Home Decor 14"x14"
The rustic plank hanging sign in this listing measures 5" x 10" . It is made from wood and it is easy and convenient to hang. This is a relatively small piece and is great for gifting or to decorate your home or other place.